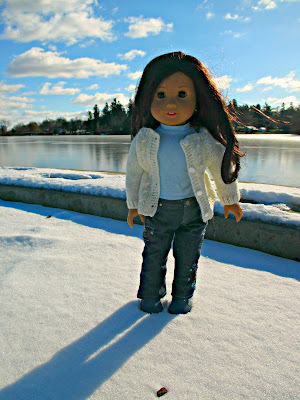 Jess is my most photogenic doll. I had to get some pictures of her all dressed up for the colder weather! 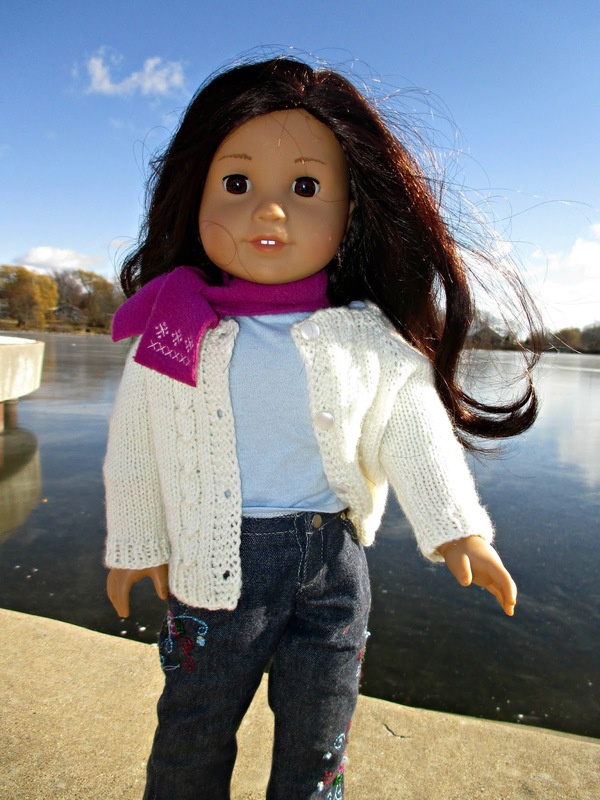 She is wearing clothing that comes from a variety of American Girl outfits. 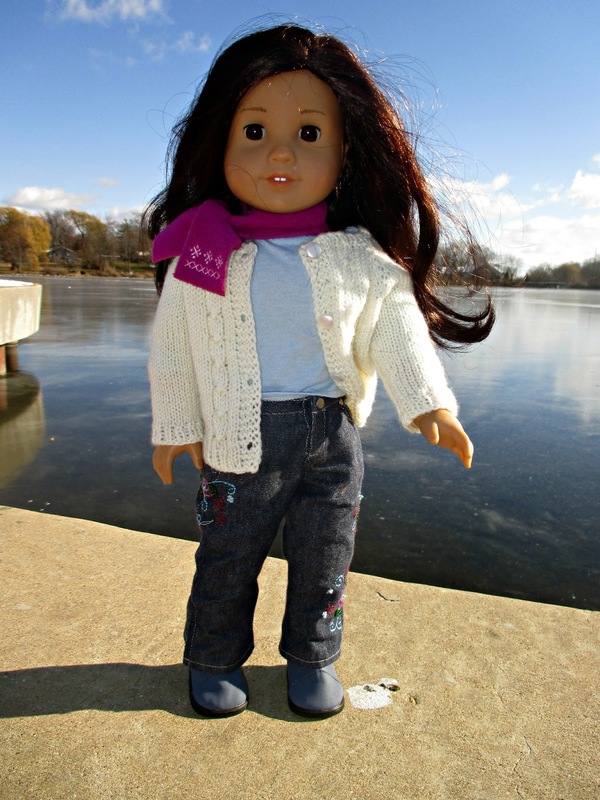 Her cardigan is made by LinLovlies on etsy. You can read my review here. Yes, we have snow on the ground! She could easily aspires to be a professional model, but luckily she is my model!